TOMTOP Black Friday Sale 2018 is Starting - Are You Ready? You are here: Home > Blog > News > TOMTOP Black Friday Sale 2018 is Starting – Are You Ready? 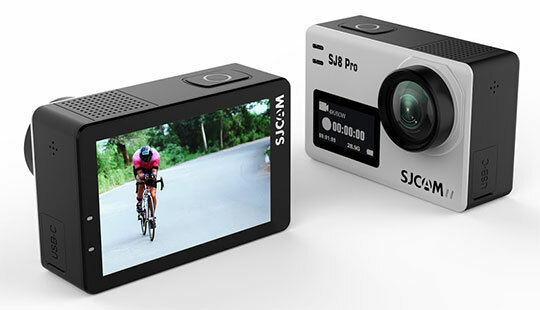 On the virtue of its unique specification, SJCAM SJ8 PRO Action Camera has become one of the highly sought-after products for photography lovers. It comes with an IPS touchscreen of 2.33 inches. The camera brags about AMBA H2S85 Chipset that lets it deliver superior performance while capturing photos and videos. The camera features a Type-C USB connector that facilitates quick file transfer when compared with other devices. SJCAM SJ8 PRO action camera is powered with a battery of 1200mAh that can last for around 1.5 hours even running on high-quality video mode. The device also supports 5GHz and 2.4 GHz Wi-Fi communication through Smartphone. The camera is extremely portable and it features highly user-friendly interface. When it comes to color choices, you will have three options available – Rose Gold, White, and Black. You can read the full review of this camera here. Recommended for you: Xiaomi Redmi Note6 Pro Smartphone Review – All You Need to Know. 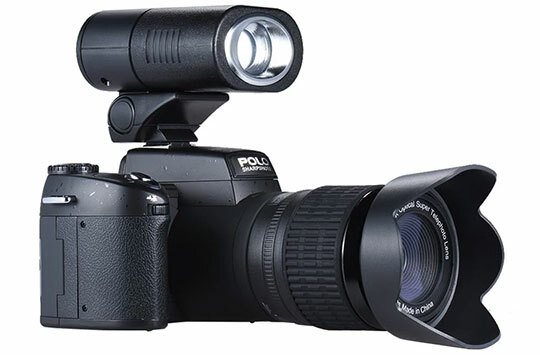 If you are looking for a digital camera that can provide you with premium quality images and videos then Polo Sharpshots Auto Focus AF Digital Camera is an ideal choice for you. The camera comes with auto focus functionality and electronic shutter. The camera boasts about TFT LCD of 3 inches that gives user clear viewing experience. It features Li-ion battery of 1050mAh that can keep the camera running for approximately 90 minutes. The camera weighs only 514g making it one of the highly portable cameras of today’s time. This is one of the highly compact cameras that offers a plethora of features in a small package. It comes with a perfect screen that can be rotated up to 270 degrees. The camera is extremely easy to carry and a perfect device for capturing selfies. It features a CMOS sensor of 4/3 inches size. The camera is powered with a battery of 2180mAh which is sufficient enough to give you long-lasting photography experience. It is available in two variant – Black and Red. Though it is rated as a beginner drone, you will discover more than what you can expect from this device. It is equipped with 6-axis gyro fly system that gives it outstanding flexibility and tremendous stability. The drone features a headless mode which takes care of a lot of major as well minor technical problems. 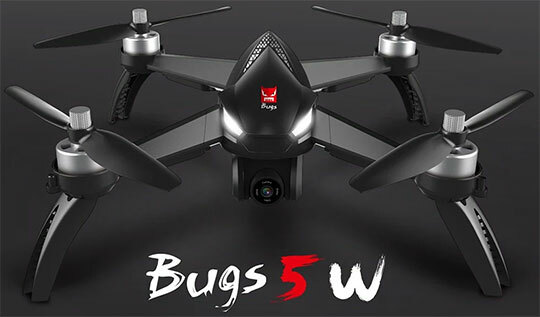 MJX Bugs 5W Drone features high quality LED lights that make it convenient to use during the night. The drone features a single key return button that guides it to the home location with utmost ease. This is recognized as a highly versatile camera as it is suitable for a wide range of occasions such as nanny monitoring, family safety, interview recording, selfie capturing and outdoor activities. It is extremely easy to install and highly convenient to use. This camera is known for its compact size and unique features that you will not find out in other devices. 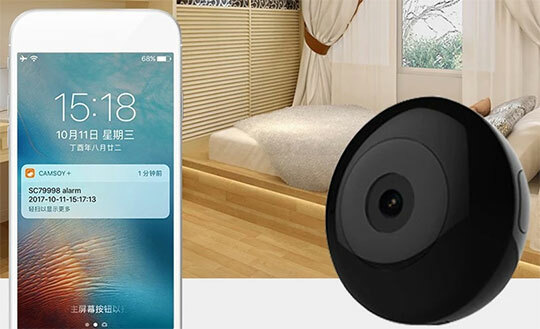 It offers high-quality video recording of 1280×720 pixel and you can use it as a car camera, body camera, and home security camera. The device can offer high-quality night vision without LED lights. It is also available in two variants – White and Black. 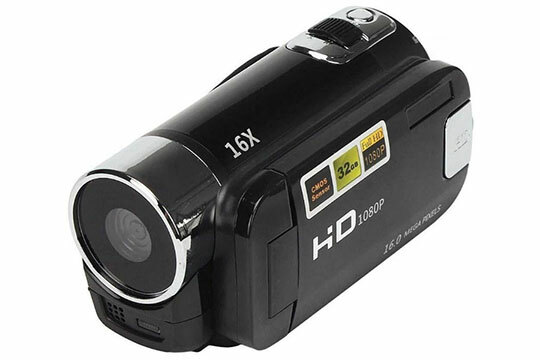 1080P Smart WiFi Night Vision Camcorder comes with a wide range of accessories that play a vital role in enhancing the performance of this device. You may also like: Humixx Wireless Earphones Review – A Headphone with True Hi-Fi Sound. So, what you are waiting for? Add all your favorite devices in the cart and place your order immediately to grab best deals available on TOMTOP during the Black Friday sale 2018. This is your best opportunity to buy premium electronic devices at highly discounted rates that are hard to find out on any other e-commerce platform. 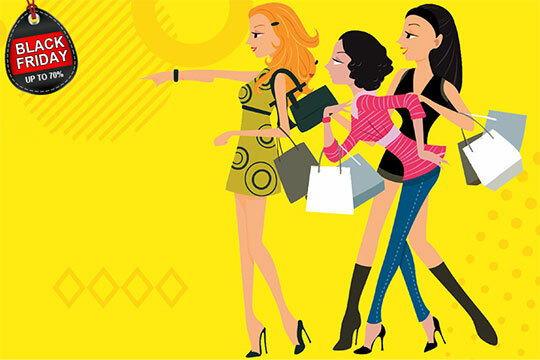 So, go ahead and fulfill your shopping cravings!